Lambesis and Tate USA contacted 9K9 about producing a CG environment and post-production for Tacori’s “Cupid” 30-second commercial spot. 9K9 was to only develop the environment and finish the project in post since Lambesis and Tate USA shot the footage in high definition on the phantom high-speed camera. However, once they saw the quality of 9K9’s CG environment and work on the “Checkmate” spot, they requested for 9K9 to create the arrow and motion graphics for this project as well. 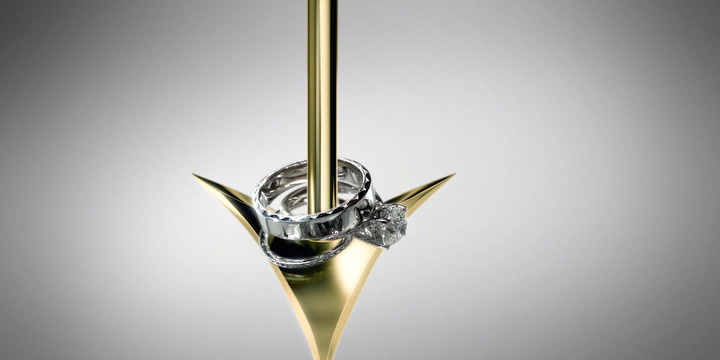 9K9 modeled and animated the arrow in the environment against the jewelry pieces from the original footage. Because the footage was already shot, 9K9 had to roto out the rings and match each shot with the CG elements. 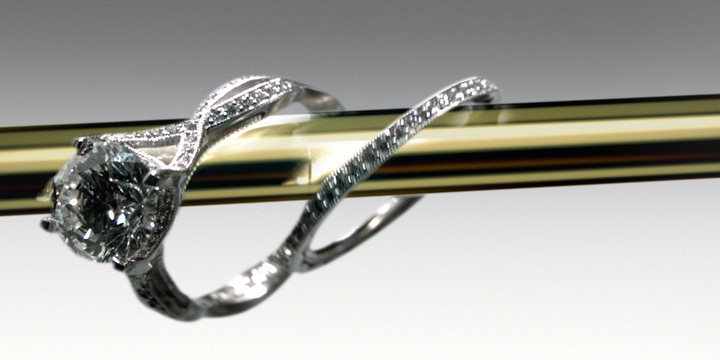 The finished product was superb and landed 9K9 work on creating 3D jewelry work with another agency in New York for DeBeers.